HE HAS sung for Squeeze, Mike & the Mechanics, and Roger Waters, and played keyboards or piano with everyone from The Pretenders to Elton John, so picking a highlight from Paul Carrack’s career is a tough one. “I’d have to say it was playing Madison Square Garden in New York with Eric Clapton last year,” he eventually decides. “I’ve been asked about it so many times. I played keyboards on several tracks of their first album but I was only there for a couple of hours so there’s not much to say,” says the singer who made his name as the singer with Ace on their massive hit How Long in the mid-1970s. According to Record Collector, Carrack’s vocal talent should have made him a bigger name than Elton John – but he laughs at the suggestion. His voice – alongside his keyboard and songwriting talent – has still served him well, but Paul explains he fell into singing almost by accident. Later, Paul spent time working with Squeeze: singing on the hit Tempted, among others. But he says he’s personally never been tempted to bring politics into music, as Squeeze recently did when they changed the lyrics to Cradle To Grave while playing in front of David Cameron. “I am interested in politics to some extent but my music works more on an emotional level than an intellectual one, if it works at all,” says a modest Paul, who adds that one big name he never worked with is David Bowie, who passed away this month. “I never had the pleasure of working with him,” says Paul. “But obviously he made an incredible contribution to pop culture and I can understand why he meant so much to so many of his fans. “I wasn’t particularly familiar with his vast cannon of work but there’s no denying great records like Rebel Rebel, Fame, and Young Americans. As for the future, Paul is on tour in the UK until the end of March, and then heads off to Japan to play in Eric Clapton’s band again – in what should prove yet another Carrack highlight. “My plan is to keep trying to make good music and enjoy the many blessings heaped upon me,” he concludes. 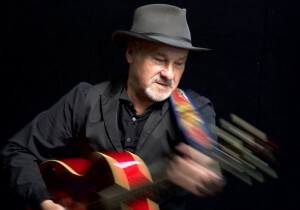 Paul Carrack will play at G Live in Guildford on Monday 15 February.